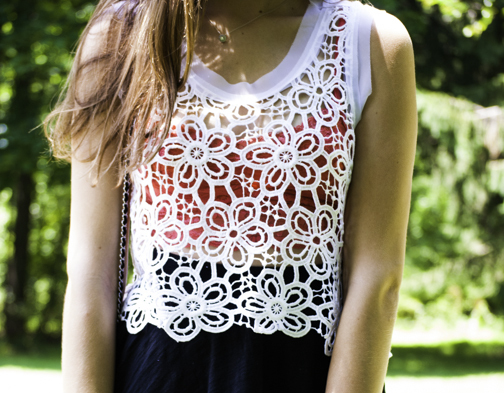 I love crochet pieces, and this top is so pretty on you! 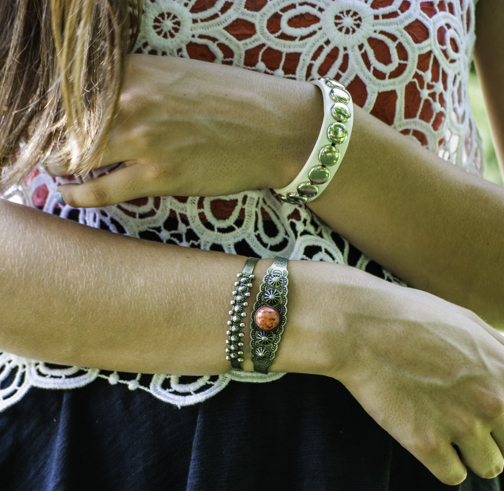 I love your jewelry too! Your top is sooo pretty! I LOVE how there's a bit of pink. Hahhahah I feel so weak... when it gets past 95 degrees, all I want to do is just sit in the shade with a a fan and ice cream. And it seems so cold in the winter where you live, such huge weather fluctuations :O Hahah I wish I was that resistant to the cold and the heat. I found your blog and I am one of your new followers. Hope you can visit my blog too!! Crochet is the perfect material for beating the heat! I'm such a big fan of crochet. I was totally on the 'who's tanner' train when I was younger, but since studying science and starting med school I've packed on the SPF and avoided beaches. Haha.. the plight of knowledge. I really liem the red coming through the white crochet. Great look. Love the crochet top. Really cute. Beautiful pics, love that top!